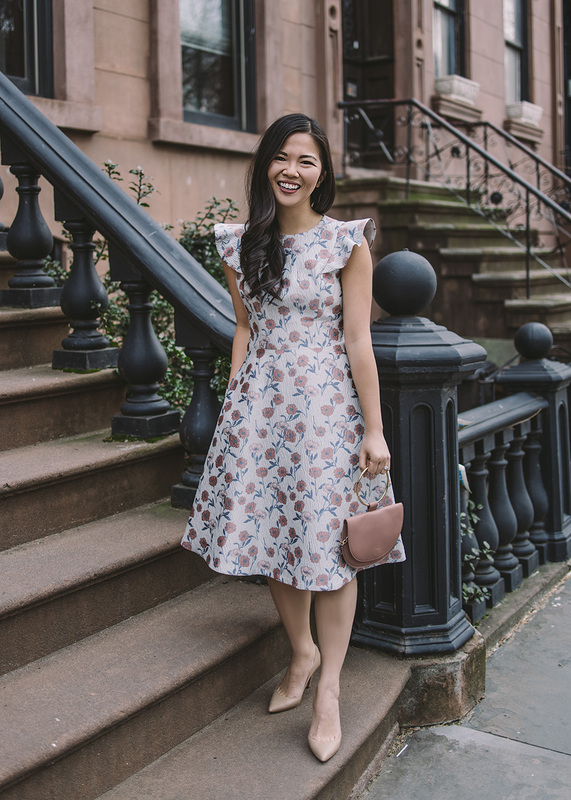 I’m just a girl, standing here in 30°F weather in the most darling dress of all time, wishing spring was here already. 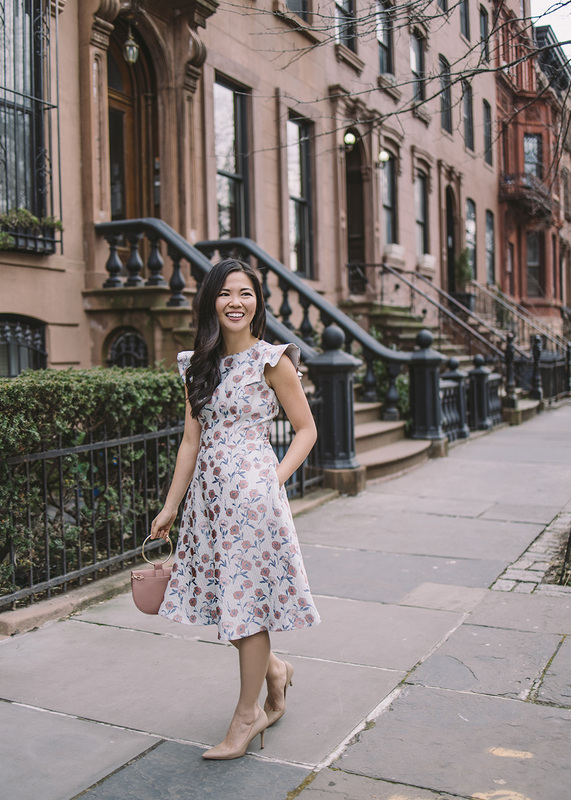 But seriously though, if this dress doesn’t have you dreaming of spring, I’m not sure what will! From the floral print to the ruffle sleeve to the pockets (!!! ), it was love at first sight. 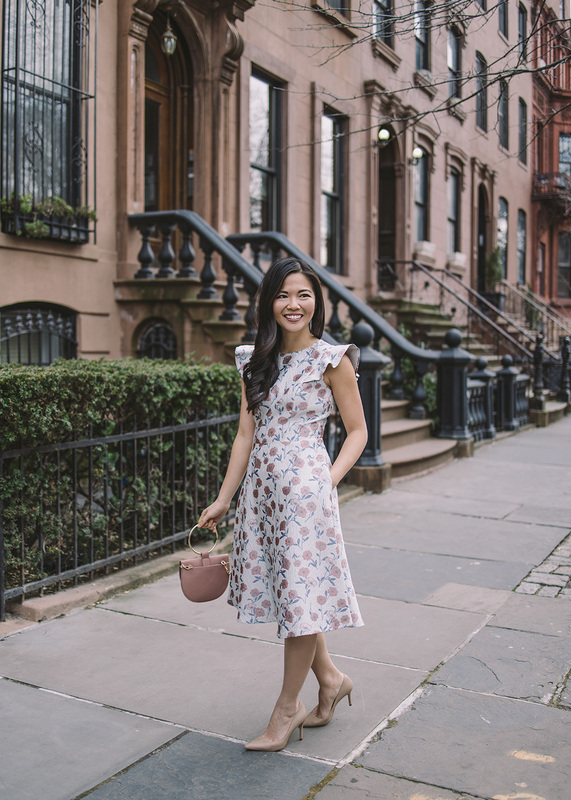 Julia Engel is hands down my favorite blogger of all time and her Gal Meets Glam Collection is killing the dress game (plus jackets, jumpsuits and skirts!). The dresses are a bit of an investment (usually $150 to $230 depending on the fabric, cut and embellishments), but I promise you the quality is well worth it! This is the third Gal Meets Glam dress I’ve added to my closet (I wore this gorgeous LBD for our holiday photos) and the styles keep getting better with every collection. Oh and if that doesn’t convince you, every dress I own from GMG has pockets (thank you Julia!!). Do you own a dress from Gal Meets Glam or have one on your wish list? If so, which one? Let me know in the comments below! This dress is SO pretty on you! I am totally over winter and definitely ready for spring. I have a few Gal Meets Glam dresses and I’m really excited for the resort collection next week. 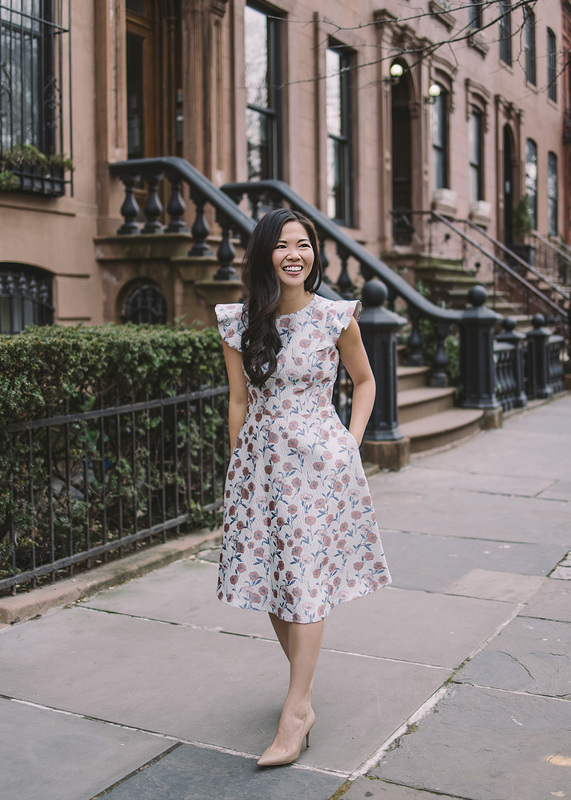 Julia does such an amazing job designing dresses that every girl will want! Thank you Sam!! I can’t wait for resort to come out! What a great print and color hue! Thanks Liz! The fabric is amazing quality too! 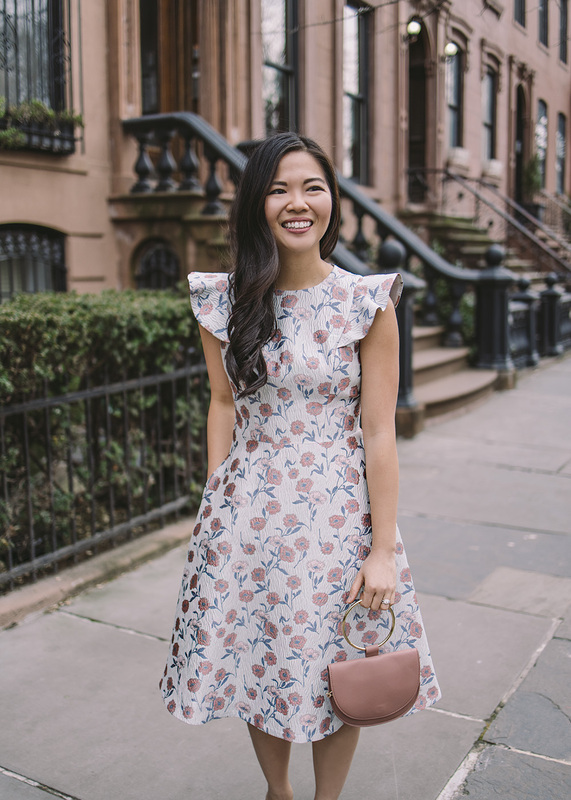 I am obsessed with GMG dresses and this dress is gorgeous! I totally agree with you that they are worth the investment! I love your GMG jumpsuit! !